How CliftonStrengths Coaching is Like Making a Texas Sheet Cake! You’ve taken the CliftonStrengths Assessment and you know your top 5 strengths (talent themes). You’ve even printed out the specific descriptions of those themes, as well as the Strengths Insight Report. Now what? Why do you need a Clifton StrengthsFinder Coach? While the CliftonStrengths begins with talent theme identification, each strength (talent theme) lends itself to a language that describes how you uniquely think, feel and behave. If you were to stop with just the description of each individual talent theme in your top 5, you would miss the amazing way in which each strength or talent theme work together. Let me illustrate this point. Well, one example is…a Texas Sheet Cake! Really! 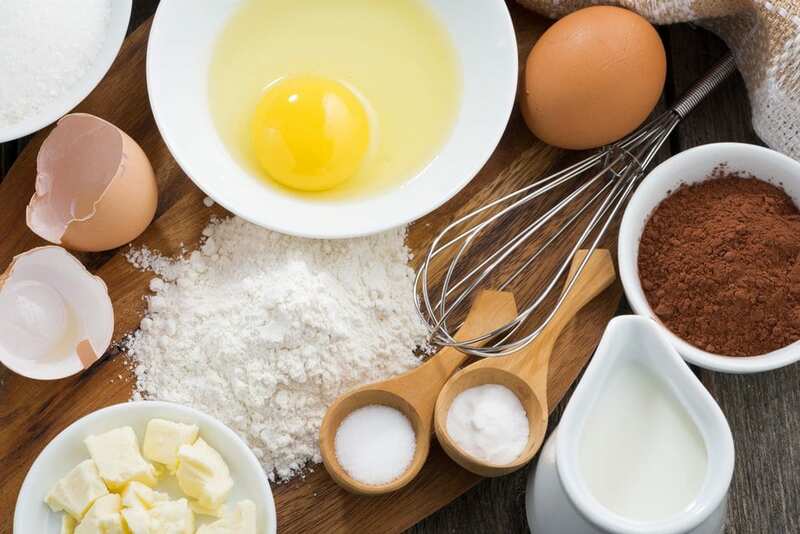 Consider the ingredients in a Texas Sheet Cake: Flour, Sugar, Salt, Cocoa, Butter, Buttermilk, Eggs and Vanilla. Separately, these items have their own properties, but together they can create a very rich dessert. The same is true with your top 5 strengths. No strength or talent theme really stands alone in an individual. We are much more complex than one trait. An individual is much more than a WOO or Learner. There is a great deal more to CliftonStrengths than the top 5 talent themes. Getting insight into how these talent themes work in concert with one another is the richness behind Theme Dynamics. For example, when people first meet me, I believe they first see my social energy and the ease in which I meet and interact with people. This is my WOO and Positivity shining through. But being aware that I also have Arranger and Individualization in my top 5, I am able to more clearly see my energetic and optimistic approach which can help me enlist others to get work done, accomplish tasks, or encourage specific people to volunteer. When you add in my Belief strength, I find that the decisions I make, the passion I have for making a difference adds a dynamic energy to everything I do. Another powerful reason to work with a CliftonStrengths Coach is to recognize the possible barriers or perceptions that can be associated with each of the talent themes. This can play an important role in how you communicate with family, team members, and friends and can also help you understand how others might perceive you. CliftonStrengths Coaching is about understanding how your top 5 themes work together. Seeing how the talent themes blend together gives you a better picture of who you are. It gives you a deeper understanding of the power behind each of your talent themes. It really allows you to have a better perception of what makes you tick, giving you more self-awareness in every part of your life!